With her nose permanently buried in a book, Victricia is a disaster at pirating chores: her knots slip, she falls from the rigging, and her cooking makes rats abandon ship! When Vic’s mistakes finally cause a treasure to slide overboard, the pirates decide she must be grounded – sent ashore until she’s ready to become a better buccaneer. But a sea-serpent appears and things don’t turn out as planned. Victricia saves the day and is granted her wish – to live on the little island where the pirates bury their treasure. Far from the waves and foam, Victricia is finally able to follow her dream. She opens a bookstore with Sea Story Hour, and Landlubber Books becomes the pirates’ favorite port in a storm. Clickard’s masterful text is a rhyming joy to read…. Meyers’s humorous illustrations add plenty of special touches like the fitting names on many book spines and covers. A fun read-aloud. Victricia falls short in the pirate life to which she was born, gravitating toward dry land and books. The rhyming text is lengthy but makes each punch line feel earned. 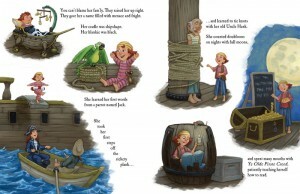 Plentiful daylight in the humorous illustrations tells readers these aren’t sinister pirates. Close observers may enjoy some cleverly titled books in Victricia’s collection, including “Don’t Let the Pigeon Steer the Ship”. In Clickard’s debut, a pirate tale in verse, heroine Victricia would rather read than swashbuckle. Her bookishness isn’t her only problem; it’s part of a bigger package of nerdy, out-of-place feelings (she makes a shirt that reads “I Heart Dry Land”). To her credit, Clickard takes rhyme and meter seriously, achieving, at her best, a Gilbert and Sullivan–like patter as she imagines the pirates mulling disciplinary measures (“Let’s ground her awhile—” “For a week—” “Maybe two…” “On a boring old island, with nothing to do.” “ ’Twill heighten her gratitude.” “Fix her pirattitude!”). Although Victricia redeems herself, she knows her heart isn’t at sea, opting for a life as a bookseller—and bringing about a career change among her former shipmates, who become “the world’s first seafaring librarians!” In full-bleed spreads, Meyers (the Ballpark Mysteries series) provides lots of pirate detail and even an ironic moment or two (Victricia’s baby cradle mobile features a fish skeleton and a dagger, presumably to encourage early pirate development). Rollicking, sea-chantey verse and slapstick humor make this a promising readaloud. Victricia Malicia Calamity Barrett was born on the deck of a pirate ship, swaddled in a black blankie, taught her first words from a parrot, and took her first steps while walking a plank. Nonetheless, she grows up decidedly averse to the life of a plundering and looting pirate: “Victricia detested it vehemently. Victricia Malicia was sick of the sea.” Victricia’s family starts to agree that she is not suited for piracy when she swabs the deck with home-made soap so slippery that “her horrible blunder” causes all their beautiful plunder to slide off the deck, sunk forever. Luckily, a marauding sea monster who slithers aboard has its murderous plans foiled by that same slip-slapping, sloshing soap, making Victricia the hero of the day. Still, it is clear that avid reader Victricia is better off as a landlubber—and it turns out, as a bookstore owner, who inspires her family to give up their trade as “barbarians” for an alternative career path: “the world’s first seafaring librarians.” Rollicking rhyme and exuberant action-filled pictures make this a fun choice for anyone who is a book lover, or ever felt like a misfit, or, like most of us, both. Reviewer: Claudia Mills, Ph.D. It takes a couple readings to fully grasp the rhyming pattern, but it is OH SO WORTH IT. This is a story with humor in words and imagery, and you can’t help but love the ending. Lots of pirate talk, plenty of humor, and fast-paced rhyme make this a delight for all ages. This would be a delightful gift for a book-loving girl. A stirring tale enthralling 4-8 year old children…. Kids will love the rhymes and comic, colorful, swashbuckling detailed illustrations… and they may even be tempted to become bookstore/library patrons themselves. 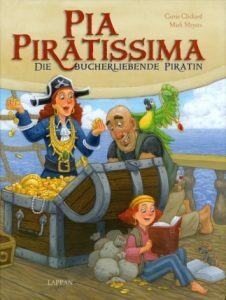 Victricia Malicia Calamity was born to pirating: her mother is the captain of the vessel they live on, her father is the cook, and her sisters have happily joined the family business of looting and plundering. Victricia, though, is different, as she has not found joy in being a pirate. She can’t tie a knot properly, cook, or swab the deck. What she really wants to do is live on land and read books, a desire that leaves her family and the other pirates perplexed. Will Victricia be allowed to follow her dreams, or will she have to live a life of dull pirating in the family tradition? 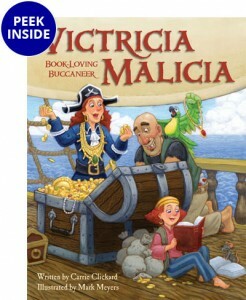 Victricia Malicia: Book-Loving Buccaneer is a fun book for kids and highlights the importance of following your dreams, even if they are different than your family’s dreams. The book is written in rhyme and is frequently funny, and the illustrations are fun and colorful. This story on the whole is a great one for kids, especially if they, too, have an abiding love for books. Victricia Malicia Calamity Barrett comes from a pirate family, but she’s much more at home in a book than a barge. Her lack of pirate skills seems to mess up everything, until a scary sea serpent goes after the ship. With her hero status firmly in place, Victricia can finally find her place — a place that changes her family forever. The rollicking rhyme tells the tale of Victricia with humor and plenty of lively action. And the message of the book in honoring everyone’s special gifts and dreams was explored without a hint of lecture or nag. The bright illustrations are so full of action that children will return to pore over them time after time. I particularly enjoyed the end pieces with line drawings that show us the parts of a ship in the front and an appealing “treasure” map at the end. For little pirate lovers, this book is worth a three-argh salute! Meet A Book Loving Buccaneer: Ahoy Mateys . . . there’s a new kid in town thanks to our friends at Flash Light Press that I think you’ll want to meet! Like most of us, she’s a “Book Loving Buccaneer,” but she’s stuck in a precarious position aboard a pirate ship in a pirate family with not an ounce of pirate-ness in her being or bones. Through author Carrie Clickard’s clever discourse, the reader travels the stormy seas that are Victricia Malicia’s life and yearns with this young spitfire for something more suitable. Just wait until you see what happens when the tides turn and the waves of life crest Vic into the chapter where she could capture her daring dry-land dreams. This rollicking tale, told in witty rhyme by Carrie Clickard, is sure to delight readers and listeners. Mark Meyers’ hilarious illustrations are in keeping with the spirit of the story. Little extras—like the book titles [on the library shelf, for instance] Don’t Let the Pigeon Steer the Ship—add to fun. So, me hearties, hurry and get a copy of this treasure for your very own. Pirate Heroine Turns Book-aneer: There are some books you love to read to your child, and some he prefers, but we think you’ll both agree that Carrie Clickard’s “Victricia Malicia: Book-Loving Buccaneer” will be considered a treasure. In this tale, illustrated by Mark Meyers (of “Ballpark Mysteries” fame), young Victricia just can’t embrace the family business of swashbuckling. Instead, she yearns for books and dry land. 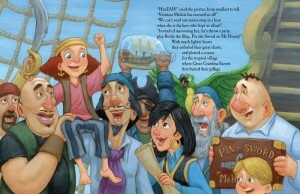 Clickard’s rhyming tale is a joy to read aloud, and she introduces her readers (ages 4–8) to a boatload of pirate terms. She vanquishes a sea serpent and is hailed a hero, but she stays true to her dream and opens a bookstore on an island. Her independent spirit is an inspiration to all. My seven-year-old daughter and I love to read, browse in musty old bookstores, and hang out at the library. When we spied this book at our local library, we could not resist it. This rhyming adventure on the high seas (and land) is great fun, and makes a wonderful read-aloud. My daughter and I took turns reading this aloud and added sound effects for good measure, resulting in a fun and engaging reading session! How’s this for a great combination: a ship full of pirates, an ancient Sea Monster, trunks full of doubloons (ooops, they might have all gotten sunk into the ocean after slipping and sliding in “soap . . . created from squid spit and lotion”), and spaghetti served with mysterious looking sea creature tentacles. So what’s the problem? Pirate Daughter hates the sea and yearns to live on dry land. Victricia Malicia, title character of VICTRICIA MALICIA: BOOK LOVING BUCCANEER by Carrie Clickard, never did learn to climb the rigging or tie knots that would hold. And frankly, she didn’t care for Spaghetti Tentacular. Her great passion was reading books. After a lively discussion, the family decides that the best way to cure Vic is to “ground her.” But before she can be put ashore with her book collection, she saves the family from the Sea Serpent, Scylla. And as a reward, Vic gets her greatest wish. Mark Meyers did a superb job of bringing Carrie’s story to life. Each family member is distinctively drawn and dressed and the facial expressions are appropriate to each escapade. Even the ship critters are interesting: Vic’s gold fish in a bowl, the green potbellied parrot, and the mice that can’t abide Vic’s cooking. The sketch of the ship adds to the understanding of piratical terms and the treasure map is absolutely authentic. By the way, the name of the ship is The Potbellied Parrot. I can’t help but brag that Carrie is a member of my SCBWI group and I’m sure the entire state of Florida is proud of her even though it’s only been two years since we stole her from the state of Michigan. They’re welcome to be proud of her, too. …Third grade strong boys and girls will laugh at this funny story…. Victricia is a character that all third grade readers will identify with. The story is told in rhyme and is fun to read. This would be a great read aloud for teachers to introduce the fact that the books Victricia uses are real books and many of the titles are shown. Teachers could easily make a project for the students to choose a book from Victricia’s reading list. A pirate who loves books is a librarian’s dream. Lots of fun and a healthy reminder that everyone loves a good book. From Lisa Wheeler, author of Dino-Hockey, Ugly Pie, and many other picture books. Ride the rollicking rhyme on this sea-fearing adventure! Victricia is a true heroine, and new author, Carrie Clickard, is a true wordsmith. Carrie Clickard is the author of Victricia Malicia, illustrated by Mark Meyers. Carrie has been writing for many years and spends every free moment with a book in her hand or a story in her head waiting to be written. 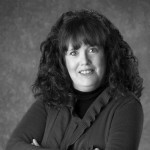 She has a degree in advertising from Michigan State University and has worked in copywriting, publicity and promotions, pre-press and press production, operations management and finally, as VP of Marketing. Carrie lives in Gainesville, FL, and Victricia Malicia was her first picture book. Look for her upcoming books, Magic for Sale illustrated by John Shelley, Dumpling Dreams illustrated by Katy Wu, and Bigger is Better illustrated by Nancy Carpenter. You can read more about Carrie on her personal website. 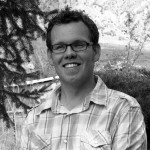 Mark Meyers is the illustrator of Victricia Malicia, written by Carrie Clickard. Mark always loved to doodle whatever silly thing popped into his head, so he studied illustration at the Academy of Art University in San Francisco. He never took it too seriously, and always liked to make people laugh with his drawings. He spends his days drawing and painting pictures filled with kids, escaping circus monkeys, and everything in between. He lives in Honeyville, UT. You can see more of Mark’s artwork on his personal website. Error: Error validating access token: Session has expired on Sunday, 23-Sep-18 01:36:16 PDT. The current time is Friday, 26-Apr-19 01:04:04 PDT.